Saturdays for young adults usually consist of a day or relaxation, maybe some shopping, going out with friends or staying in to watch movies and eat. This past Saturday was different. 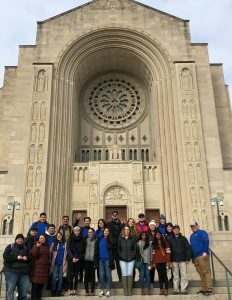 Hundreds of young adults journeyed to Washington, D.C., to partake in a small piece of something so much bigger. 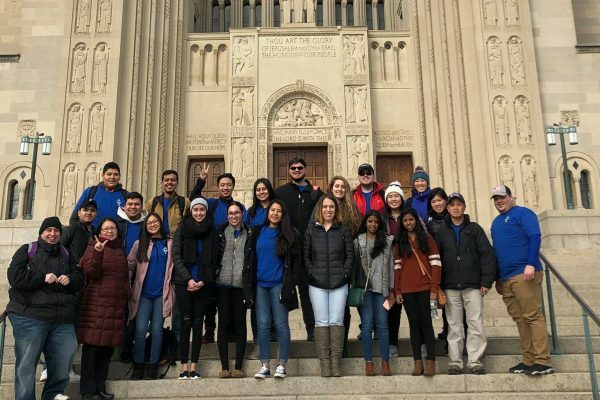 As our brothers and sisters in the faith were coming together in Panama, we who could not make the trip gathered together in Washington D.C. to unite our prayers to theirs. 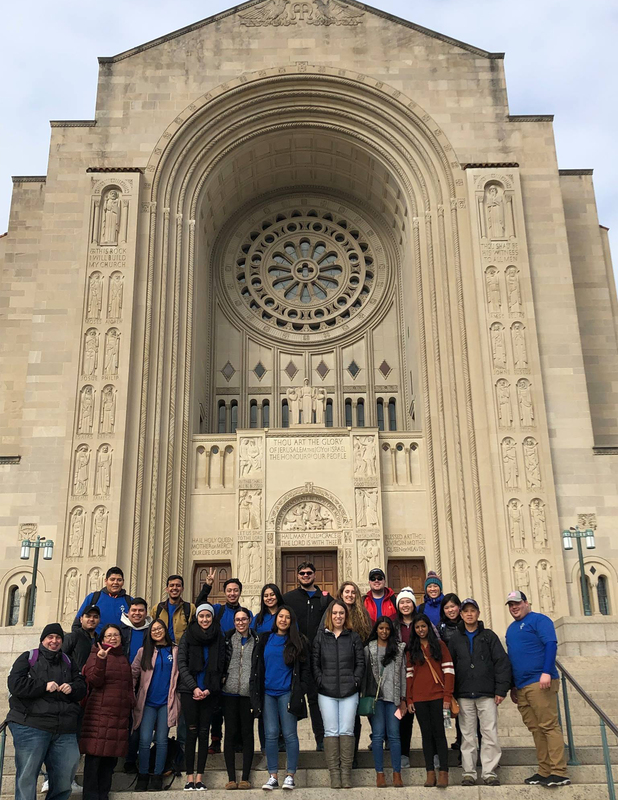 From our diocese we had young adults from the Vineland Catholic Collaborative, Most Precious Blood Parish in West Collingswood, Saint Katherine Drexel Parish in Egg Harbor Township, and more. Walking around the campus of The Catholic University of America, you felt something that was not expected. Many young adults from different cultures and nationalities came together in support of the events happening in Panama. Some took time to go to Mass, go to confession, or even hear others from different organizations talk and share their love for Christ. Our hands and feet were cold from the Washington wind, but our hearts kept us warm with the tremendous amount of love we saw all around. During Mass, Archbishop Christophe Pierre, the apostolic nuncio to the United States, expressed our wants and needs for Christ in his homily. What we should do in order to maintain a steady and healthy relationship with the Lord. The prayer to the faithful was prayed in different languages, and hymns were sung in both Spanish and English. It was amazing to see how much Jesus impacted us through the sights and sounds of different cultures. After Mass, we got to indulge in some great Panamanian food. The vibration of voices and music surrounded the center as we sat down. It felt like Washington, D.C. turned into Panama. Later we participated in a conference that was held by Father Agustin Mateo Ayala, and with him Daniella Zelaya and Ducle Gamboa. Walking into the room, music flooded our hearts and we began to praise and worship with people we did not know but somehow felt like family. The day was full of blessings. “It was great to be with other young adults and feel at home,” Erik Lopez said. On the bus ride home Greg Coogan, director of Youth, Young Adult and Campus Ministries for the Diocese of Camden, had us share our experience with each other, and the sound of voices full of energy and on fire with the Holy Spirit filled the bus. It was pleasant to hear those voices. Cannot wait for our next trip. Blessings. Anthony Lopez is a member of Catholic Millennial Ministry, Vineland Catholic Collaborative. Jose Rodriguez is coordinator for Hispanic Youth and Young Adult Ministry, Diocese of Camden.